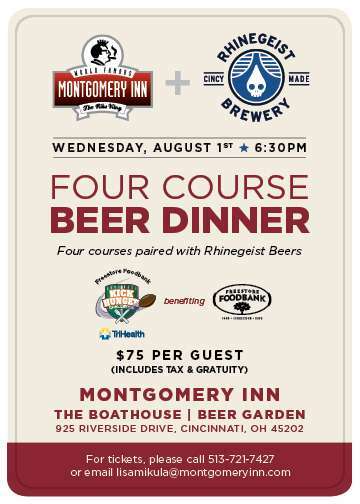 Join us at Montgomery Inn Boathouse on August 1st for an innovative four course beer dinner with local brewery Rhinegeist. A portion of all sales come to Freestore Foodbank. Limited tickets available-please call 513-721-7427.